Whenever a group of characters needed to raise money for their church or favorite cause, their first inclination was to earn the money through a social event. Ad from a 1918 North Carolina newspaper. Isabella’s characters held fairs and festivals, old folk’s suppers and young folk’s concerts, character parties and tableaux, strawberry soirees and ice cream socials—all in the name of raising money for their church or charity. 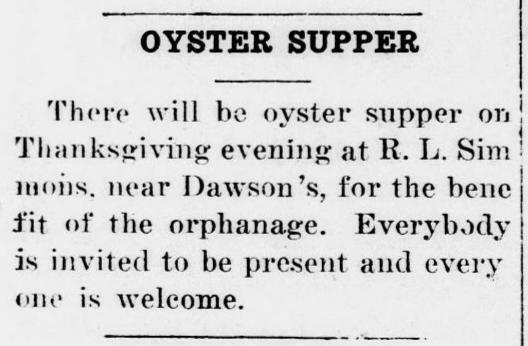 Announcement in Fort Mill Times (South Carolina), November 17, 1910. Carrie asked a good question. 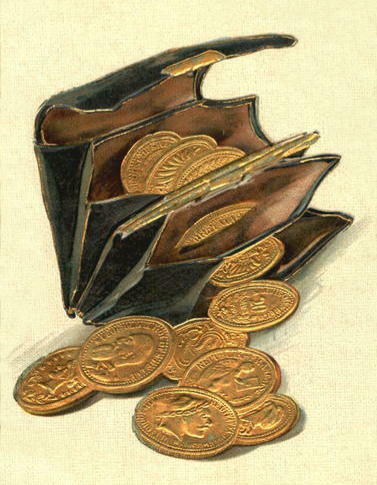 Whenever there was money to be earned, Isabella’s characters—much like the people in churches Isabella observed first hand—spent long hours and lots of money to stage events by which they hoped to receive donations for their cause. 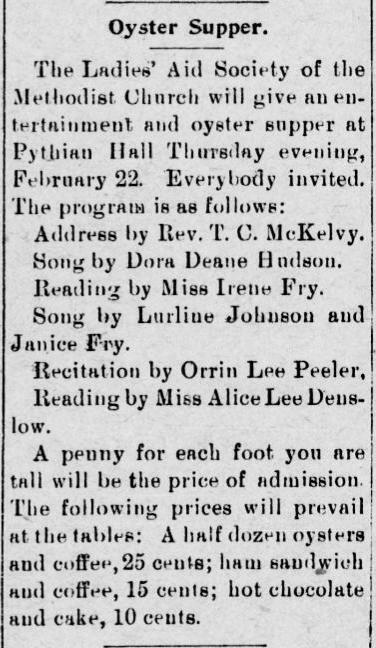 The Camden (Tennessee) Chronicle, February 9, 1912. The most popular method Isabella’s characters turned to for raising money was the oyster supper. That’s what happened in Isabella’s short story, “Circulating Decimals.” As soon as the ladies of the Penn Avenue Church realized the church library was in need of new books, they decided to take action. Up rose the women, the respectable, middle-aged, matronly women. The library must be replenished, the money must be raised. They—the matrons—would do this thing speedily and quietly. They would have an oyster supper on a large scale, make preparation for a great many guests, furnish oysters in every possible style, and with them such coffee as only they could make, to say nothing of the inevitable cake and cream, and side dishes for those who did not relish oysters. So they went to work quietly, skillfully, expeditiously. Baking, broiling, frying, stewing! 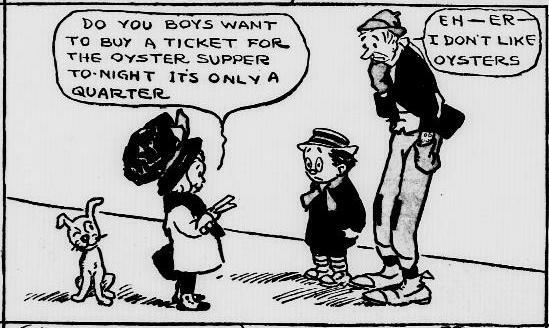 A portion of a comic appearing in the Washington DC Evening Star, January 1, 1911. Oysters were also the go-to choice when Isabella’s characters entertained guests in their home. 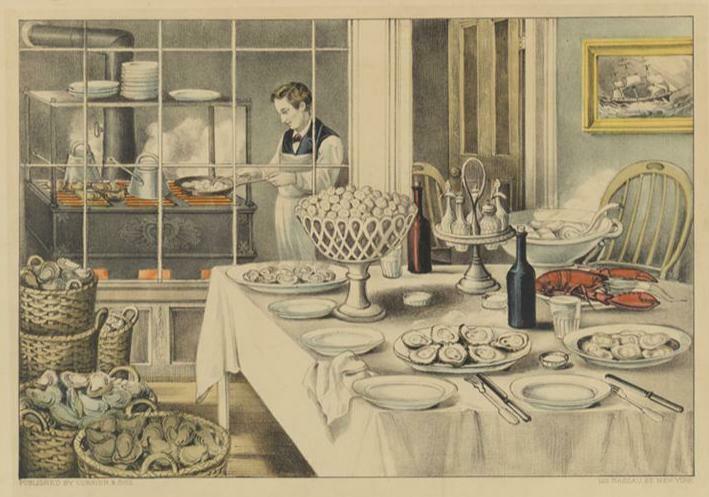 Preparing an oyster supper; and 1873 print. Flossie Roberts served oysters with jellies and sauces to the rough boys in her Sunday-school class in Ester Ried Yet Speaking. 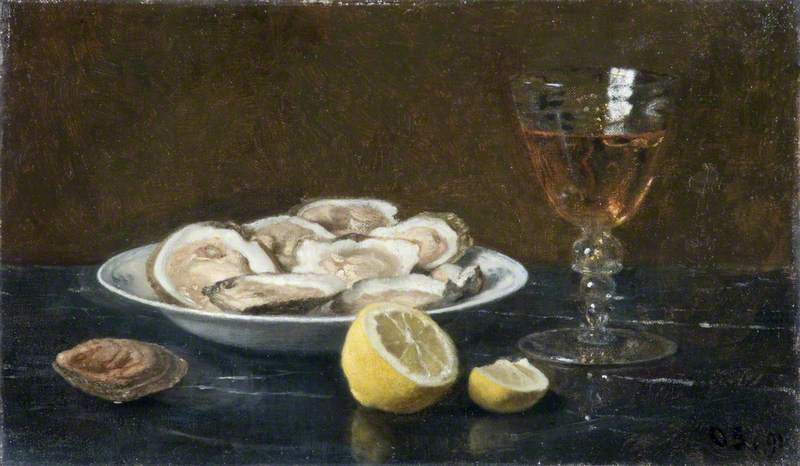 Oysters with Lemon, a painting by Otto Scholderer, 1891. Their ideas of simplicity would have bewildered some people. A lunch without salads was not to be thought of, of course; and chicken salads were the best. No matter if chicken was very expensive just now, it did not take a great deal for a salad. Then oysters were just getting nice, and, after the long summer, seemed so new; raw oysters were the very thing with which to begin a lunch. Served on the half-shell and properly garnished, there was no simple dish which looked more inviting. 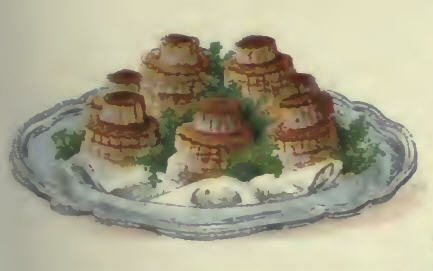 A plate of oyster patties from Mrs. Beeton’s Book of Cookery, 1907. America loved oysters and ate them in abundance. 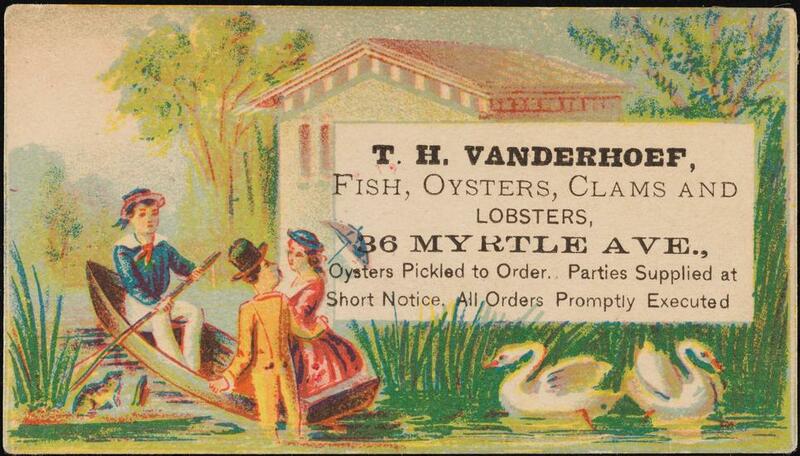 Business card for an oyster dealer, 1880. Fresh oysters were prized, but thanks to advancements in canning methods, oysters could be shipped inland to Midwest cities that previously had no means for buying and consuming seafood. And new techniques for harvesting oysters made them so abundantly available, their cost was half as much as beef, per pound. They were inexpensive and popular, and Americans couldn’t get enough of them. A plate of grilled oysters, from Mrs. Beeton’s Book of Cookery, 1907. Cook books of the time had recipes for stewed oysters, fried oysters, broiled oysters, and pickled oysters. A 1915 cookbook published by the Oyster Growers and Dealers Association of North America. You can click on the cover to see the entire cookbook. Americans served oyster patties, oyster pies, and soups. They added oysters to their meats, stuffed them in turkeys, and scrambled them with eggs. For those who didn’t want to prepare oysters themselves, they could find oysters on the menu of most restaurants and public houses. 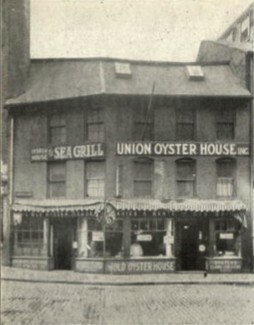 The Union Oyster House in Boston, Massachusetts was founded in 1826 and is still in business today. Most major towns in America could boast an oyster parlor or oyster saloon. 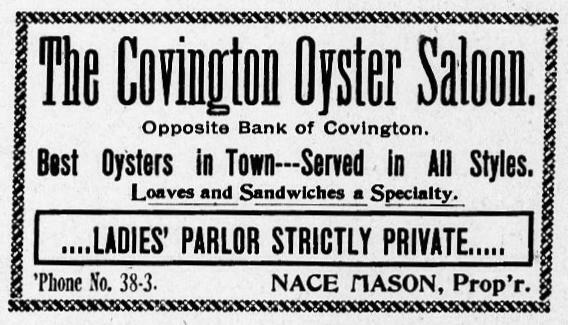 A 1903 newspaper ad for a Louisiana oyster saloon offering a ladies’ private parlor. Many such establishments had private dining rooms for ladies, where they could eat oysters in an environment that did not offend their delicate sensibilities. 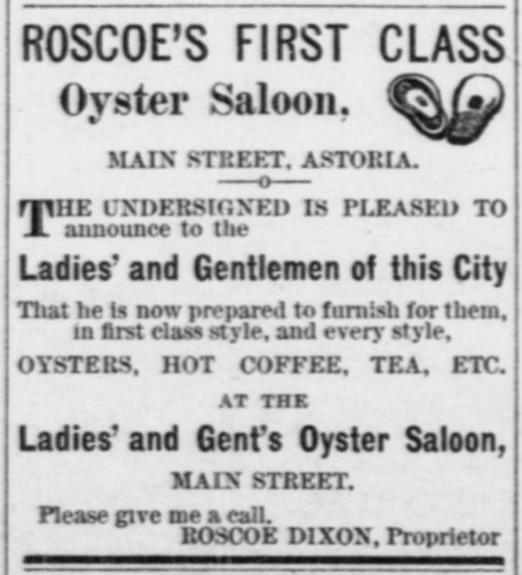 An 1881 ad for an oyster saloon in Astoria, Oregon. 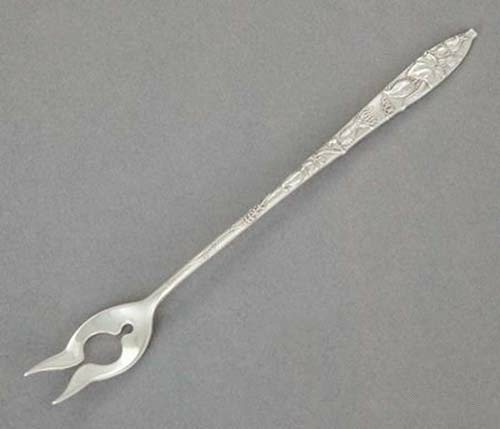 Americans’ love for oysters spawned an entirely new industry of serving plates and utensils designed specifically for oysters. 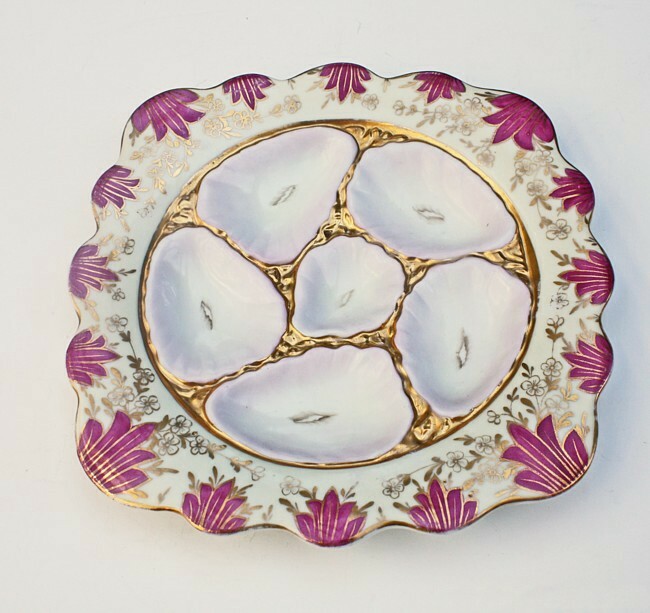 An oyster plate from the late 1800s. 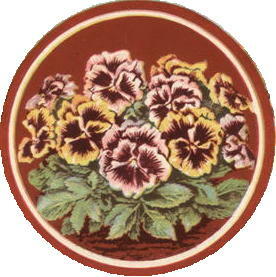 With six oyster wells, it is decorated in the Chinoiserie style popular at the time. It’s no wonder, then, that when Isabella’s characters planned a dinner or a party, they naturally thought to put oysters on the menu. They were inexpensive, easy to prepare, and almost everyone liked them. But cooking and selling oysters didn’t guarantee that a fund-raising event would be successful. Though festivals and dinners and other fund-raisers were very stylish, Isabella believed that more money and effort were spent on putting the events together than the organizers ever made from donations. 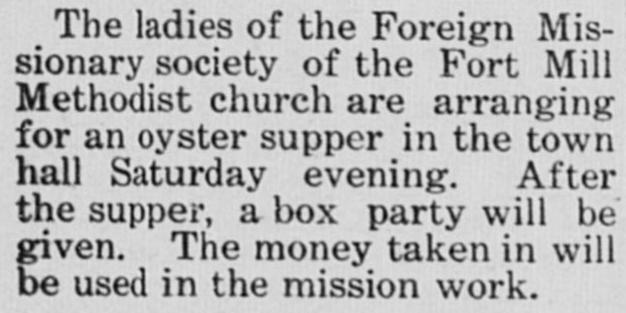 Despite the questionable economics, oyster suppers remained a favorite form of charity fundraisers in America . . . and in Isabella’s novels. You have left the duty of giving subject to the accident of having something left after all your wants are supplied. Is that really the way? The Lord knows you; knows just what place He has set you in; just how many people you can touch with your influence, and just what He is going to do with them all.